The number of professional job vacancies available in Ireland reduced by 12% in July compared to the same month a year ago, and by 24% sequentially since June, according to the Morgan McKinley Ireland Monthly Employment Monitor. ICT – The ICT sector remains continually buoyant with strong demand now traversing all industry sectors for experienced and newly qualifying staff. In particular, the FDI sector is recruiting both for organic growth and the completion of staffing for European hubs. The indigenous IT sector (including SMEs) is also in steady growth mode. Engineering – There is strong demand for professionals including Design Engineers (coming from R&D Departments) and Electrical Design Engineers across the medical device, heavy industry and electrical / automation industries. Quality Engineers are in demand at all levels across the pharma, food, medical device and manufacturing sectors, alongside Automation Engineers, Electrical Automation Engineers, Computer Numerical Control (CNC) Programmers / Manufacturing Engineers, Project and Process Engineers for highly regulated manufacturing plants mainly across pharma &/ med device. Supply Chain – In the Supply Chain Management discipline, professionals with skills in SAP, Advanced Excel, Supplier Management & Lean Management continue to be the in demand across all industries. Financial Services – Financial Services recruitment has in many respects become an employee led market albeit there is still a good balance of supply and demand and a positive mix of opportunity encouraging employee mobility. There is a continually strong requirement for experienced and newly qualified accountants (across the management, financial and audit disciplines), funds management specialists, risk and compliance experts, data analysts, consumer protection and credit control specialists, FinTech and cyber security professionals. Business Administration / Services – In the wider business and administrative services areas, there is still significant demand for people with multilingual skills and most notably at present the German, French, Italian and Nordic languages. This is for roles of various ranks across all disciplines. In administrative roles, areas such as legal and medical continue to seek employees in large numbers, e.g., legal secretaries for conveyancing (reflecting current property market trends). Human Resources – Recruitment professionals continue to be in high demand as organisations build out their in house recruitment teams. A notable trend here is one of candidates returning from overseas with agency and in-house recruitment experience filling these roles. There are multiple opportunities across all industry sectors for HR professionals with specialisms in organisational design, compensation and benefits, organisational culture and workplace flexibility. Adare Manor has announced 300 new direct jobs at the resort, bringing the number of personnel employed to over 350 people. The resort will be seeking to recruit personnel for these positions over the next couple of months. Adare Manor has been undergoing major refurbishment and construction works for the past 12 months to enhance all areas of the resort and is on schedule to open in Q4 2017. Currently, there are 670 construction employees working daily on this restoration, refurbishment, expansion and golf course re-design project. I am delighted to be here in Adare today for this great news story. The creation of 300 new jobs, following on from over 600 construction jobs during the refurbishment works, is a huge boost for Co. Limerick and the wider Mid West region. It’s also great to see the Adare Manor Resort being redeveloped, given the importance and benefit of tourism to the region. It is estimated that the resort will contribute in excess of €15 million to the local economy annually. 13% decrease in professional job vacancies in February when compared to January 2017. Millennial effect shows 4% more professionals seeking job opportunities in February compared to January 2017. Posted on 23 March 2017. Fenergo, a provider of Client Lifecycle Management software solutions for investment, corporate and private banks, has announced the creation of 200 new jobs, bringing its total global employee base to 500.The new positions, supported by the Department of Jobs through Enterprise Ireland, are across many areas of the business and will begin immediately with all positions to be filled over the next 12 to 18 months.Speaking at the jobs announcement event held in its global headquarters in Dublin’s Docklands, Marc Murphy, CEO, Fenergo, said: “I am delighted to announce the creation of 200 new high value jobs for the Irish economy. The demand for Fenergo’s Client Lifecycle Management technology solutions is global and immediate, driven by regulatory change and banks’ desires to be able to comply fully with new and enhanced regulations, whilst achieving operational cost efficiencies and delivering superior client experiences. We anticipate continued significant growth across all of the regions we serve – Americas, Europe, UK, APAC and the Middle East – over the next 36 months.“To help us meet this global demand, we are looking for the smartest, most dedicated and talented people to join the team to help us continue to improve this world-class business that we have built. By joining the Fenergo team, this new talent will be part of a journey to build a global Irish technology company that is at the forefront of developments in robotics and artificial intelligence for financial technology.”With ambitions to IPO the company by 2020, Fenergo is well on its way to achieve this given its growth over the last five years, averaging over 100% year-on-year. During this time, Fenergo has signed new named deals with world-leading financial institutions including HSBC, UBS, BNY Mellon, Scotiabank, Bank of Montreal, BBVA, Westpac, RBS, RBC, SunTrust and Nikko Americas. The company is also expecting another stellar sales performance this year.Fenergo has also opened six new offices across the world including New York, Boston, Sydney, Singapore, Japan and Abu Dhabi and relocated its Dublin, London and Boston headquarters to cater for its growing number of personnel. Most recently, the company took up residence in a 21,000 sq feet building in Dublin’s Point Village. Ricoh Ireland today announces the opening of its new Irish headquarters on the back of a €6.5million investment. The HQ will welcome an additional 110 team members over the next three years as Ricoh looks to grow its Irish business to 190 people by the end of 2019. The jobs and investment were announced at the official opening of the new Irish base in Airside Business Park, Swords, Co. Dublin, in the presence of Mary Mitchell O’Connor TD, Minister for Jobs, Enterprise & Innovation. which specialises in print, document management and visual communications solutions. It has global revenues of more than €18 billion. Ricoh has been operational in Ireland since 1980. 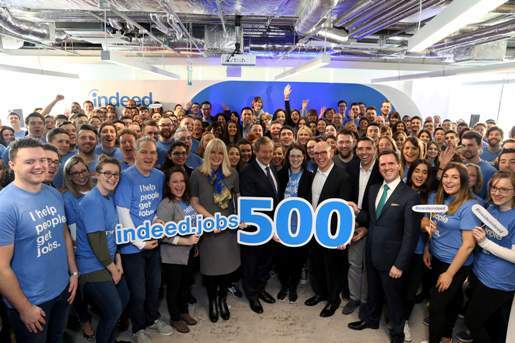 Indeed, the world’s largest job site, today announced expansion plans for its Dublin-based headquarters for Europe, the Middle East and Africa, adding 500 new employees over the next two years. The company has already started recruiting for sales, client services, HR, business development, marketing, finance, strategy and operations roles, which will help companies across EMEA to maximise the return on their recruitment spend, while continuing to offer the best job search experience for jobseekers. The announcement demonstrates Indeed’s ongoing commitment to Ireland and the successful role Dublin has played as Indeed’s EMEA HQ for the past five years. Supported by the Department of Jobs, Enterprise and Innovation and the IDA, Indeed opened its Dublin office in March 2012 and currently employs a team of 530 people in its St. Stephen’s Green office. I welcome today’s announcement of 500 new jobs by Indeed. Their staggering growth since their establishment in Ireland in 2012 is a fantastic endorsement of our strengthening economy and is a reflection of the benefits of doing business in Ireland. The Government’s Action Plan for Jobs 2017 aims to keep Ireland competitive to new investment by EMEA HQ’s such as Indeed. Ireland will remain a central and committed member of the EU and the Single Market and growing dynamic companies like Indeed can rest assured we will work continually to promote the opportunities of the European Single Market. Almac Group Louth (Dundalk) 100 The pharma company has announced the creation of 100 new jobs over the next two years after securing new premises in Dundalk to support its ongoing global expansion plans. Eason Dublin & Limerick 30 The retailer is opening two new stores as part of a €2million investment creating 30 jobs. Tech Mahindra Dublin 150 The IT services company is set to create 150 jobs by 2020 after the opening of a centre of excellence in Citywest, Dublin. The new jobs will be for engineers. InsideSales Dublin 120 The sales lead management company plans to create 120 new jobs over the next three years as part of its expansion into Ireland. BRNG Neon Holdings Limited South and East 60 The renewable energies joint venture will create 60 new jobs in operations and maintenance at 23 new solar projects by 2020. Evo Dublin (Dun Laoghaire) 50 Card payment service provider is to create 50 new jobs which are expected to be filled this year. Nostra Dublin 50 The ICT company based in Lucan has announced 50 new jobs over the next three years. Recruitment to begin immediately with roles in computer engineering and sales. Steeltech Sheds Ltd. Galway (Tuam) 43 The manufacturing company will hire 43 new staff in 2017 after the announcement of a major investment of €5 million over the next 3 years. IQ Pharmatek Tipperary 200 The pharma company has announced the creation of 200 jobs in Clonmel following the opening of a new facility next month. 100 new roles to be created in 2017 with a further 100 to follow in 2018. Overcast Dublin 70 The tech company has announced plans to hire 70 new staff over the next 3 years. Top Oil Cork 17 17 new jobs have been created at the opening of a new filling station in Cobh Cross. This marks the first in a series of investments by the company in the coming year. Private intellectual disability care service providers Nua Healthcare announced in January it is to create 800 jobs over the next three years through the planned development of new residential and day care facilities across Munster. In April, the Defence Forces announced plans to recruit 1,450 personnel over the next two years, with 600 this year and a further 850 inductees in 2017. A new accelerated Garda recruitment programme was announced in September which will see 800 Gardaí recruited next year and 3,200 on a phased basis over the next four years. In September, biopharma company GE Healthcare announced plans to construct four new factories in Ringaskiddy, Co. Cork creating 500 jobs by late 2018. During the summer, Amazon announced plans to hire data centre technicians, software engineers and customer support staff, among others at a number of Dublin facilities. Back in January of this year, TTM Healthcare announced plans for an expansion creating 500 new jobs in the next five years nationwide. The new roles will mainly be for nursing professionals, social care professionals and allied health professionals. 120 new jobs are being created at Virgin Media’s National Customer Experience Centre at Roxboro in Limerick bringing staff numbers to 400. In a further major boost to the local economy, Virgin Media is also expanding its superfast fibre broadband network for homes and businesses in the region. Virgin Media is growing its Irish workforce to meet demand for its superfast broadband, TV, phone and mobile services. The jobs are being created directly and together with partner Sitel with all new positions based in Virgin’s high-tech Customer Experience Centre in Roxboro. The new positions are being filled immediately and are all full time including customer care specialists handling billing and sales plus a number of specialist back office finance roles. Virgin Media have also confirmed they will expand their network footprint in the mid-west region with a plan to connect 10,000 more homes and businesses to their superfast broadband network when the upgrade is completed. This is a very welcome development for Limerick and it underpins the city’s track record as a hub that can deliver strong results for high tech multinational companies like Virgin Media. Today’s announcement follows a succession of quality job announcements for Limerick and further demonstrates the city’s proven track record in attracting companies of this nature. Virgin Media has consistently been one of the biggest employers in Limerick and I commend them for this jobs decision and their continuing investments in the Mid-West. Taoiseach Enda Kenny together with Jobs Minister Mary Mitchell O’Connor today launched the Action Plan for Jobs 2017 at the offices of NDRC. The target is to support the creation of 200,000 net additional jobs by 2020. There are nearly 190,000 more people employed now compared to when the first Action Plan was launched in 2012, surpassing the original target of an additional 100,000 jobs by 2016. A significant consideration in drawing up the Action Plan for 2017 was Brexit and the changing global trading environment. This year’s plan is at the core of the government’s response to the huge challenge these pose for. 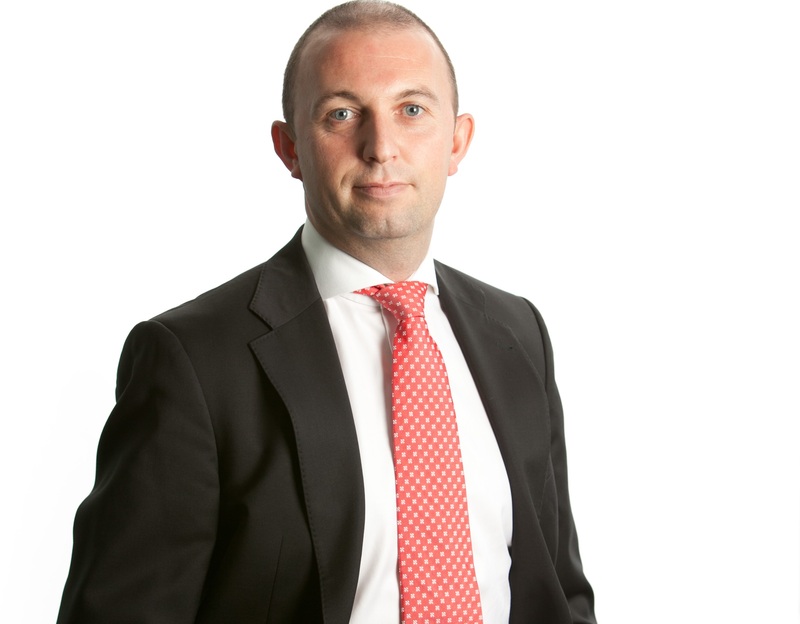 A ‘Think Small First’ SME test for new regulations to reduce red tape. We need to build our trading resilience and we will help our ambitious enterprises diversify their markets, with a significant increase in Ministerial-led trade missions in 2017. We will remain vigilant to external changes with potentially significant implications for our economic well-being, and we will be agile in anticipating and responding to them. This year’s Action Plan has never been more important, with Brexit and other challenges in our external trading environment. I am convinced that the effective delivery of the Action Plan can support the creation by business in all sectors and regions of an additional 45,000 jobs in 2017, towards our target of achieving full employment and an extra 200,000 at work by 2020. The Action Plans for Jobs have proved hugely successful and the whole-of-Government approach adopted has supported the creation of an average 40,000 jobs each year since the Plan was introduced. According to CSO figures announced on Tuesday, the monthly unemployment figure for January 2017 is down to 7.1% from 8.5% in January 2016, the lowest since 2008. Employment is up by an average 10.6% across the country and over 2 million people are now at work.